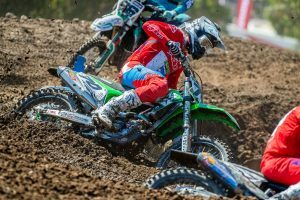 The 2018 Pirelli MX Natinals is set to come to an end this weekend at Coolum’s notoriously sandy circuit on the Sunshine Coast of Queensland. 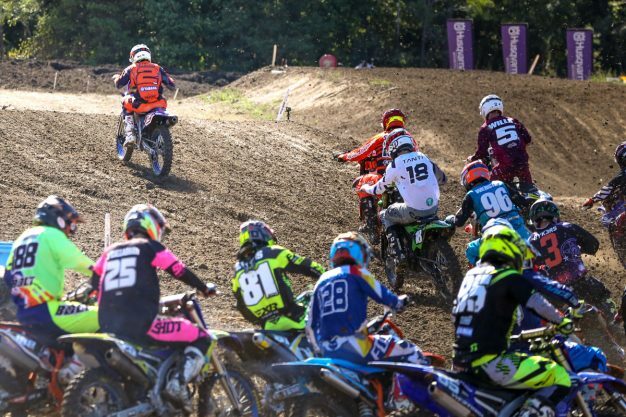 With two days of riding and racing, plus championships still op for grabs, we’re anticipating an intriguing round of motocross. In this edition of Countdown, we highlight eight things to keep your eye on this Saturday and Sunday. 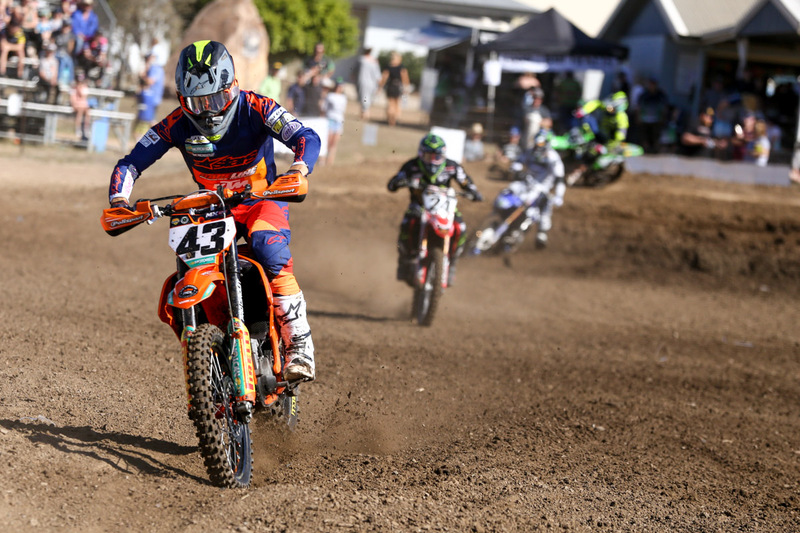 Coolum will play host to the final of two rounds of the Australian Womens motocross championship – the first being hosted earlier this year at Western Australia’s popular Manjimup 15,000 event. What we saw there was some of the most fierce and intense racing in quite some time as Megan Rutledge (Kawasaki), Maddy Brown (Yamaha) and Jess Moore (KTM) battled it out. We’ve seen the talented trio go at it before at Coolum, and it’s shaping up to be another thriller! Following it’s huge success at Raymond Terrace’s double-header, the Yamaha YZ65 Cup is returning for Coolum’s finale. It will see a number of fortunate local youthful talents take on the sandy Sunshine Coast circuit, as well as a selection of groms drafted in from interstate. The youngsters will race over both days and will get to experience racing in the same environment as their heroes. Two days of riding at Coolum is going to benefit some riders, while it’s going to be a hinderance for others. The MX Nationals field is no stranger to being on the bike for back-to-back days, having already completed two double-header stops this season. Avoiding injury and over-doing it will be key, so it’s definitely going to be interesting to see who can manage themselves in the best possible manner. With Dean Ferris (CDR Yamaha Monster Energy Team) wrapping up his third-consecutive MX1 crown last weekend at Gladstone, the premier class title chase is all over, however there’s strong competition for second and third in the championship. Just five points seperate MX1 rookie Mitch Evans (Raceline Pirelli KTM) and Luke Clout (KTM Motocross Racing Team), while Brett Metcalfe (Penrite Honda Racing) is a further 42 markers behind. Metty is definitely going to be vying for a season-first victory, and you can expect the KTM duo to go to town for vice champion honours. Coolum’s sandy terrain is unpredictable at all times and you never know exactly how it’s going to form up – some years we’ve seen become extremely rutted, while other years it been littered with deep sand whoops. When you mix the two days of riding, plus the stacked schedule that includes eight categories and over 30 on-track sessions, it’s going to be a gnarly affair that will sort out the field out. Better late than never, we’re beginning to a selection of riders reach the form we know them for in the closing stages of the series. 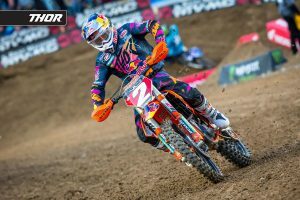 Most of them are out of championship contention, but that doesn’t mean they’ll be entering holiday mode before the weekend’s out – expect to see some fresh faces challenging up front in a last ditch effort to get on the radars of team managers for 2019. For the second year running, Serco Yamaha’s Wilson Todd enters the final round with the MX2 points advantage in hand. Last year he had just a mere three points to work with and ultimately lost the title – this year he has a healthy 57-point gap. As we’ve seen in the past – and as Todd knows all too well (we was in doubt for Sunday’s racing last year after a heavy fall in Saturday’s practice) – anything can happen in motocross and nothing can ever be ruled out. This relates to number three, however is more specific to potential surprise winners on Sunday. If history is anything to go by, we’ve some out of the blue performances at Coolum in the past, and I think we’re bound to see season-first victors at Coolum this weekend. 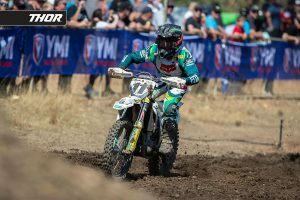 Riders such as Metcalfe, Evans, Clout, Dylan Long (CDR Yamaha Monster Energy Team) and sand wizard Caleb Ward (Davey Motorsport Yamaha) all have the potential to notch up an overall win in MX1 and demote Ferris from the winners circle.